Capital Trust Advisors offers a number of wealth management services to meet all of your needs. We utilize a coordinated and holistic approach to analyze and manage your finances. Retirement Planning - Good planning is essential to a successful retirement. We have the tools and experience necessary to help you plan and invest for the financial needs of retirement. We evaluate your current financial circumstances and expected future savings in order to project the amount of after-tax income, adjusted for inflation that will be available to support you and your family in retirement. Specific strategies are designed to ensure that the expected level of retirement income will be sufficient to support your expected retirement lifestyle needs. Estate Planning - Maximizing the wealth that will be passed on to heirs or philanthropic bequests by minimizing inheritance taxes requires a detailed knowledge of not only tax law, but a client’s full financial picture as well. Working with local counsel to create the necessary legal documents such as wills and trusts, we will also help a client evaluate and choose from among the many possible choices for trustee, whether it be a professional trustee such as a bank, or a family member, friend or other adviser. Investment Management - This is the process of diversifying investments in various asset classes and investment styles in order to achieve the highest return for the least amount of risk. Capital Trust Advisors uses sophisticated analytical tools to develop a recommended asset allocation that is right for your risk profile and time horizon. Insurance Analysis - As part of a comprehensive wealth management plan, we can arrange an analysis of your current insurance program for adequacy and cost effectiveness. Within the context of your total financial picture and estate plan, we can review coverage limits, liability limits and identify the need for specialized coverage. Whatever changes or additions are necessary are implemented by working through either your established relationships, or a third-party broker specializing in the needs of wealthy families and individuals. Since Capital Trust Advisors is not an insurance broker, we can evaluate insurance solutions in a more objective manner. Charitable Giving Strategies - Capital Trust Advisors is experienced in helping our clients achieve their objectives with respect to philanthropy. Whether through the establishment of a private foundation, a charitable remainder trust or some other legal entity to facilitate a gifting program, we can work with your attorney or accountant to accomplish your objectives within the framework of your overall wealth management strategy. Family Business - Owners of closely held businesses often face a myriad of unique wealth planning challenges. The complicating factors of family dynamics, management and ownership succession, liquidity needs, and concentrated business risk demand an adviser that will recognize potential needs in these areas. Working closely with your existing legal and tax advisers, Capital Trust Advisors coordinates the development of strategies designed to address the unique needs of this group. Our comprehensive Private Wealth services are designed to help you grow and protect your financial assets. 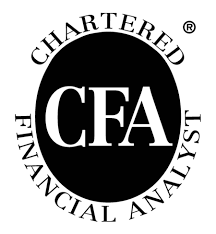 At CTA, we help clients develop and implement customized investment programs tailored to unique needs and circumstances.